Better Homes and Gardens, the leading lifestyle brand that reaches nearly 40 million readers each month, recently released findings from its eighth-annual exclusive survey revealing attitude and behavior trends of homeowners in the U.S. This year’s research focused on the millennial generation and its preferences on customization and smart technology in home design. Just over 1,600 U.S. female homeowners living in single-family homes shared their thoughts on home improvement spending, the importance of functional design, and value in home technology. During a presentation at the National Association of Home Builders Show in Las Vegas, Jill Waage, Brand Executive Editor for Better Homes and Gardens, presented these findings and offered insight on the needs of today’s current and future homeowners. Millennials place importance on maintaining a home that is more personalized to their preferences than the generation before them. Almost two-thirds (63% percent) of millennial respondents surveyed say that having a home customized to their tastes and needs is a top priority. Similarly, 6 in 10 millennial respondents say that having a home that is “a reflection of me” is more important to them than to their parents’ generation. Smart technology is increasingly seen by U.S. women, particularly those under 35, as a feature that improves home safety, health, and connections with families. Millennials agree that smart technology is customizable to their needs (74%), makes their homes more energy efficient (70%), and saves them time (67%). In 2015, 68% of millennials said that smart home technology is a good investment, as compared to only 57% in 2014. In 2015, 73% of millennials said that smart home technology makes their homes safer, as compared to only 64% in 2014. Millennials today think that smart technology makes their homes healthier (64%), compared to only 55% in 2014. Further, the millennial cohort feels that smart home technology is becoming easier to maintain. Fifty-five percent of millennial respondents say that smart home features are easily maintained and upgraded, as compared to only 46% of millennial respondents in 2014. Today, 54% of homeowners under 35 use at least one of the 16 smart technology features measured in the study. On their wish list, 39% of millennials say that they would most like to use smart devices to operate appliance settings, while 36% say they would like quality sleep tracking and reporting. Seventy-four percent of millennial respondents say that smart technology is customizable to their needs, while 64% say that it can be integrated into their style, taste and décor. Though respondents say that home technology is customizable to their needs, only 51% of millennial respondents say smart technology is customizable to their budget. Across generations, 7 in 10 respondents say smart technology costs a lot of money. Compared to older generations, millennials are willing to pay more for high-quality products. However, while 44% say they are willing to spend top dollar to get exactly the features and quality they want, 60% also say they are willing to compromise on what they want in order to save money. 13% of millennial homeowners are creating a home office, work space, or family communication center. 15% of millennial homeowners are adding storage space. 1 in 3 millennials says that exterior makeovers are expensive and not worth the investment. Compared to traditional curb appeal projects like new doors, paint or roofing, landscaping ranked as the top priority (at 44%) for millennials looking to boost curb appeal. About half of millennials (51%) report that they decorate their outdoor living space like they would an indoor dining or living room. More than three-quarters (77%) say they want their outdoor living space to feel like a relaxing retreat. Millennials surveyed report they are looking to upgrade or make additions to their outdoor living spaces, including landscape lighting (27%), a fire pit (26%), and lamps or party lights (24%). Almost one-quarter of millennials (24%) plan to add or upgrade comfortable seating, outdoor dining tables and chairs, and other accessories that make the outdoor area feel like a room. Better Homes and Gardens serves, connects and inspires readers who infuse color and creativity into each aspect of their lives. Reaching 40 million readers a month via the most trusted print magazine, the brand also extends across a robust website, multiple social platforms, tablet editions, mobile apps, broadcast programs and licensed products. Better Homes and Gardens fuels reader’s passions to live a more colorful life through stunning visuals, a balance of substance and surface, and a blend of expert and reader ideas. 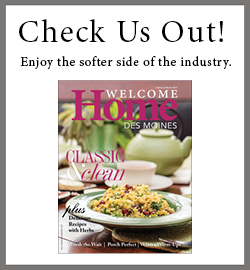 Better Homes and Gardens is published 12 times a year by Meredith Corporation, with a rate base of 7.6 million.